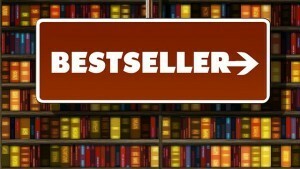 Today, there are approximately 2,536,993 business books listed on Amazon.com. And thousands of more business books are published each year. So, with all the business books out there, how can yours stand up to the competition? The answer lies in the right book marketing techniques. Most business authors publish books to establish themselves as an expert in their industry, as well as to bring on new business opportunities. Others have aspirations to become a bestselling author. To reach these goals, you first need to sell your book and get your name out there. In order to sell your book, need to develop a strategic marketing plan that targets your readers, establishes your brand as an author, and appeals to media outlets. 1. Share the right message – When promoting their book, many authors make the mistake of telling people what their book is about. Since there are probably hundreds (if not thousands) of published material on the same topic, you need to tell readers why your book is better than the others. Instead of selling your book, sell what it can do for the reader. 2. Relate to your audience – Even though your book may pertain to a specific audience, there are smaller, more specific demographics and reading levels within your audience. Come up with a list of benefits for each group so you can explain why reading your book is beneficial to them. 3. Market your book before it’s released – Many authors wait until their book is sitting in a bookstore before they begin marketing it. Instead, you should market your book months before it’s released. It’s best to start planning your publicity six to nine months in advance. This way, you can generate more buzz about your book and make readers, critics and reporters interested about its release. Also, many large media outlets have to plan out their stories months in advance. To make people aware and excited about your book, start blogging and tweeting about it. As people get excited about its release, you’ll find more retailers who want to sell your book. 4. Join web forums – Contributing to web forums is a great way to connect with potential readers and position yourself as an expert in your field. Join one or two web forums, where you can actively offer valuable advice and relevant information to its members. Once you build your presence and credibility in the forum, you can share the news of your new book. Also, you can ask members of the forum to provide you with an honest book review on Amazon. 5. Create an author website – Having an author website is essential to book promoting. This is the first place readers, critics and reporters will look to find more information about you and your book. You website should be simple and well-designed and include your contact information, a brief biography and sample book chapters. From your website people should be able to access your social media channels, book blog, book reviews, upcoming events, and your Amazon page where they can buy your book. 6. Connect with local news outlets – When reaching out to the media, its best to start local and work your way up. Create a press kit that includes your author business card, headshot, photo of your book cover, short biography, and press release. Start by sending your press kit to your local radio stations, news channels, magazines, and newspapers. Reporters receive tons of media pitches every day, so be sure to follow up. Once you receive local media coverage, you can expand your efforts to larger outlets. Also connect with media outlets that specialize in your field. 7. Speak at business conferences – Conferences are a great way to get your name out there and build yourself up as an expert in your industry. At the conference, speak about a topic of interest to your audience that you can relate back to your book. At the end of your speech, share your new book and mention it will be able at the conference for purchase. 8. Utilize Twitter – Twitter and other social media channels make connecting with potential readers a little easier. Thanks to social media, you connect with thousands of people you would not have met otherwise. Post about topics that are relevant to your book and industry and get people to share them.